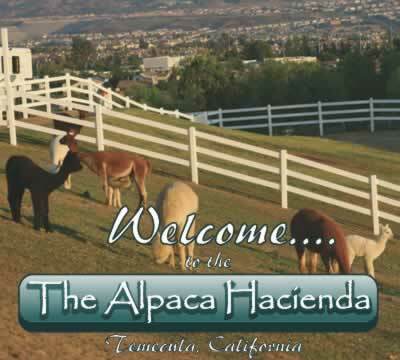 The Alpaca Hacienda in Temecula, California, is located near the sprawling wine country, yet very close to town. 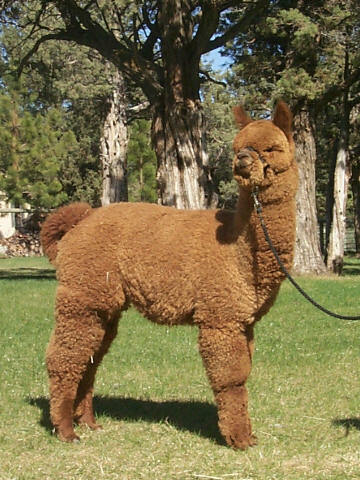 We offer alpaca sales in Temecula, and have been raising alpacas since 2004. We are committed to breeding quality alpacas and giving them the utmost in care and attention. Alpacas are our passion, and we enjoy every aspect of these amazing animals, from breeding and birthing to showing, working with their luxurious fiber, and introducing our community to the joy and profitability they can provide. Let us share our passion with you! Take a look around our site, then arrange for a visit. But be prepared--Alpacas may just steal your heart! 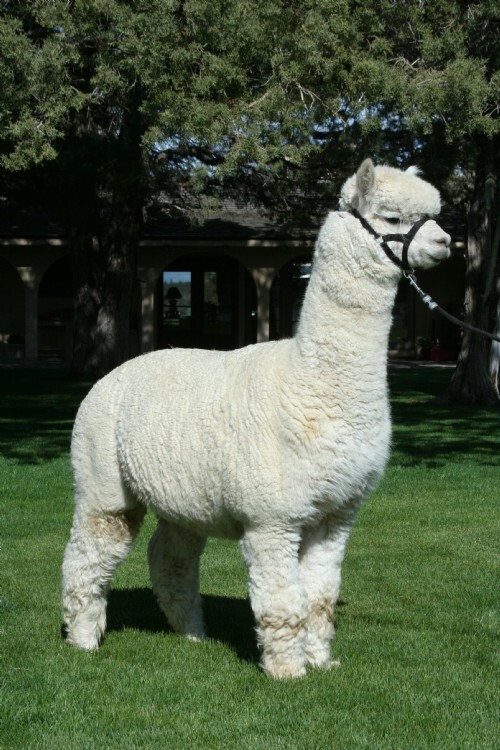 Financed sale: Upon approval of credit, buyer may finance up to 75% of the purchase price if two or more breeding alpacas are purchased (breeding alpacas include Herdsires, Junior Herdsires, Maiden and Pregnant Females). Buyer may take possession of the animals when paid in full, and seller retains title and registration rights until balance is paid in full. Buyer may take up to 24 months to pay for the animals on a monthly, quarterly or semiannually payment plan of equal payments plus interest at Prime Rate plus 2%. The buyer agrees to purchase and maintain a full mortality insurance plan, naming the seller as loss payee, until the animals are paid in full. Financed alpacas may not leave the United States until paid in full. Registration papers for a financed alpaca will not be transferred to the buyer until the animals are paid in full. All cria of financed animals will be registered in the seller’s name until the financed animals are paid in full. Welcome to the Alpaca Hacienda! We're glad you visited our OpenHerd Farm page. We're proud to offer high quality stock at down-to-earth prices, enabling breeders to keep the competitive edge in their own alpaca businesses as the North American herd continues to improve and gain world-wide attention.